An audience of over one hundred people enjoyed an information-packed day at Folkestone’s The Quarterhouse, where the inaugural Digital in Kent conference took place. There was a positive vibe all day with many attendees tweeting about how much they were learning at the event. After a morning of introductions and keynote speakers, the delegates had the choice of attending 1 of 4 workshops, one of which was Luke’s. He talked about the positives and negatives of PPC, SEO and social as digital marketing channels and discussed the benefits of integrating the channels to achieve the best results. Lunchtime gave the attendees the opportunity to explore Folkestone and experience the culinary delights to be found in The Creative Quarter. 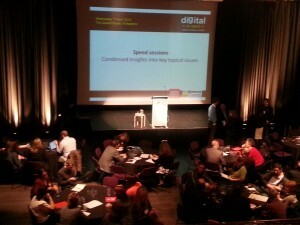 On their return to The Quarterhouse, delegates benefited from 4 speed sessions, including Luke’s PPC masterclass. After the event we sponsored the beer and pizza networking session, which gave everyone another chance to mingle and meet other Kentish business people as well as the opportunity to chat to the digital experts directly and ask any questions they had. During the day we collected business cards from attendees for our prize draw. We offered 5 businesses the chance to win a free site audit and consultation. Well done to the winners and thanks to all who entered! Overall the day was a resounding success. Luke enjoyed delivering his presentations and it was a fantastic networking opportunity. 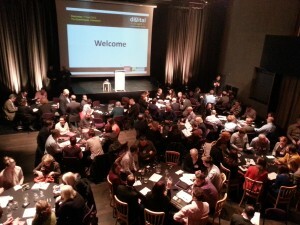 It’s really exciting that an event like Digital in Kent was held in our humble Folkestone. Hopefully it has helped to put our town back on the map and highlighted the creative and digital industry that we have down here on the coast. Roll on the next conference, which is planned for October.